Vaughan Williams was (with Cecil Sharp) one of the foremost collectors of folk songs from 1903, and collected many traditional carols as well. This collection is of carols as he arranged them, thus presenting his view of Christmas in the first half of the 20th century. He also wrote four completely new carols for the Oxford Book of Carols (tracks 12 to 15). The recording concludes with the first complete recording of Nine Carols for Male Voices, commissioned by the British Council in 1941 for performance by and for British troops serving in Iceland. For track 10, Vaughan Williams acted not as arranger but publisher, with new words by Ursula Vaughan Williams. 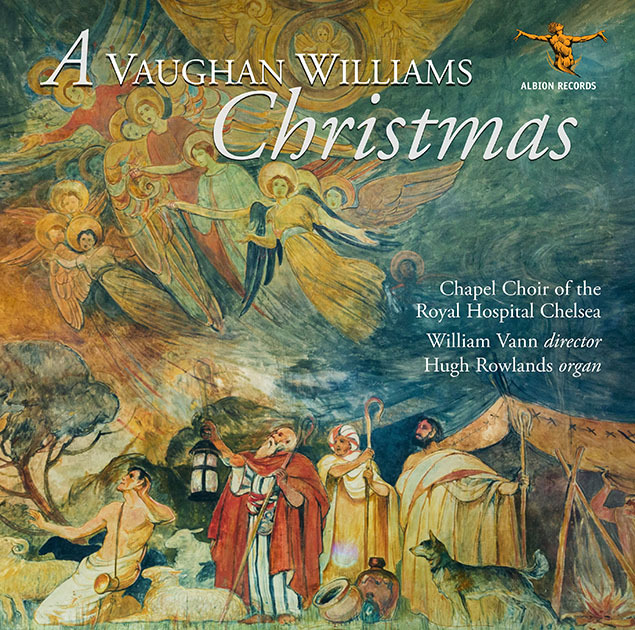 …This and the companion disc of RVW Christmas carol settings …. are my first exposure to the Chapel Choir of the Royal Hospital Chelsea, an institution established by Charles II in 1682 for the care of war veterans. It is a magnificent ensemble, truly one of the best choral groups I’ve ever heard for vocal blend and clarity of diction, among other musical virtues. …Those nine carols are expertly sung by the male voices of the Chapel Choir of the Royal Hospital Chelsea. The singing is just as fine and just as enjoyable when female voices are added to the mix in the other items. This is the third disc I’ve heard by William Vann and his choir in recent weeks – one was a disc issued by another label – and I’ve been seriously impressed each time. Here is a flexible, well-blended ensemble whose singing gives consistent pleasure. The recording was made in the same venue as the choir’s previous Albion disc and the same technical team of producer Andrew Walton and engineer Deborah Spanton was on hand: once again they have achieved excellent results. As well as recording the choir very pleasingly, they have achieved a very good balance with the organ, which is played with great accomplishment by Hugh Rowlands. Albion never disappoint when it comes to documentation and this latest release continues that trend. All the texts are provided – though, in truth the choir’s excellent diction renders the provision of texts a luxury rather than a necessity. John Francis provides knowledgeable and eminently readable notes. There’s a lot of less than familiar material here but all of it is well worth hearing, especially in such expert performances.